San Diego Opera is the thirteenth company since 2011 to cast mezzo-soprano Ginger Costa-Jackson in the title role of Bizet's Carmen. [Reviewed performance: 19 March 2019.] 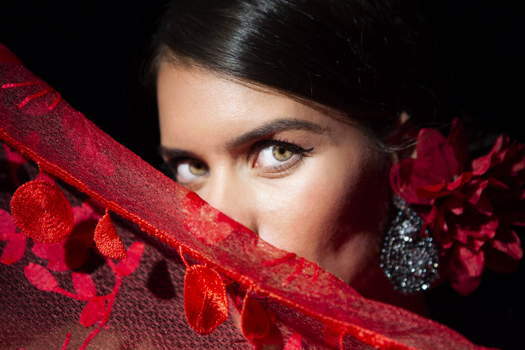 Her voice, sultry looks, and sensuous flamenco dancing are perfect for the role. She even manages castanets in perfect rhythm without missing a step. The considerable powers of persuasion she brings to Carmen make it easy to accept that the malleable young Corporal Don José would desert his childhood sweetheart, not to mention his loving mother and the army, to be with her and a band of smugglers in a cold and dangerous mountain lair. A less naive man might have realized he couldn't compete for ever with a bold, dashingly handsome matador. 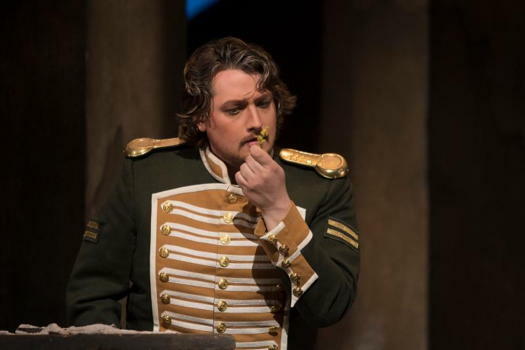 Costa-Jackson's Carmen makes Don José's rapid transformation from innocent soldier to bandit more believable than usual with acting that can switch instantly from sly coyness that brings an appreciative chuckle from the audience to frightening stormy anger. 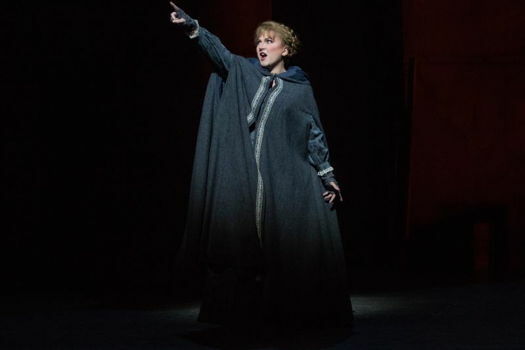 When I interviewed her recently she said, 'I've always been more interested in the acting part than the singing. I feel like the singing is part of the acting.' But be assured. She hasn't neglected the former. Having Carmen spew blood when stabbed by the crazed Don José as the opera closes is also a bit much, a sensational touch that detracts from the pathos of the scene. Soprano Sarah Tucker and baritone Scott Conner, like Costa-Jackson and Watson, are making their company debuts. I'd gladly welcome all four back in future productions. Tucker's clear bright soprano carried well, and she made it easy to empathize with Micaëla's feelings when Don José rejects her in favor of Carmen. 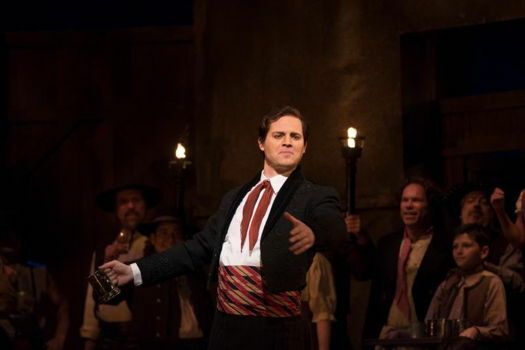 Conner played Toreador Escamillo with unflappable swaggering confidence and a booming voice, though he seemed to take a little time getting to full throttle in the 'Toreador Song', Escamillo's first and best known aria. 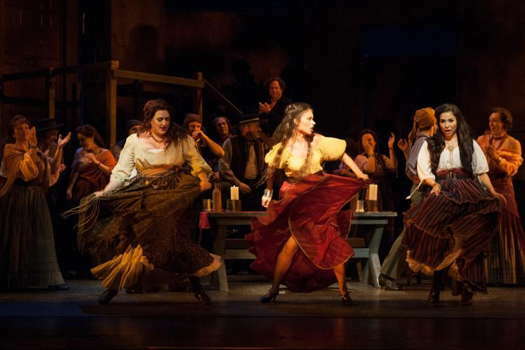 Soprano Tasha Koontz and mezzo-soprano Guadalupe Paz, both with local ties, brought warmth and a touch of humor to their roles as Carmen's gypsy friends Frasquita and Mercedes respectively. Koontz has an accurate powerful voice, and Paz sings with smooth agility. 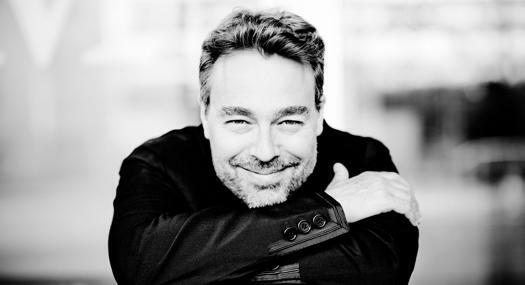 San Diego Symphony musicians led by conductor Yves Abel opened the evening with a spirited and exciting overture that set the stage for the performance to follow. Abel brought Bizet's marvelous orchestration to life while blending effectively with the singers. Chorus master Bruce Stasyna's San Diego Opera chorus helped fill the stage with activity and sang with strength and conviction. A surprisingly good children's choir augmented the usual chorus and, dressed in appropriate period costumes, added interest and color to the production. Ginger Costa-Jackson is as good a Carmen as I've seen, and she will sing the role yet again in Seattle later this year. She has yet to tire of the fierce seductive gypsy, but is looking forward to portraying Rossini's innocent Cinderella toward the end of the year, and I expect she'll win many other leading roles in future years. Carmen completes its San Diego run with nearly sold-out performances at 7pm Friday [5 April] and 2pm Sunday [7 April 2019] of this week. Visit San Diego Opera for ticket information and the season's remaining schedule.